Excellent aid for consultation or for the waiting room. 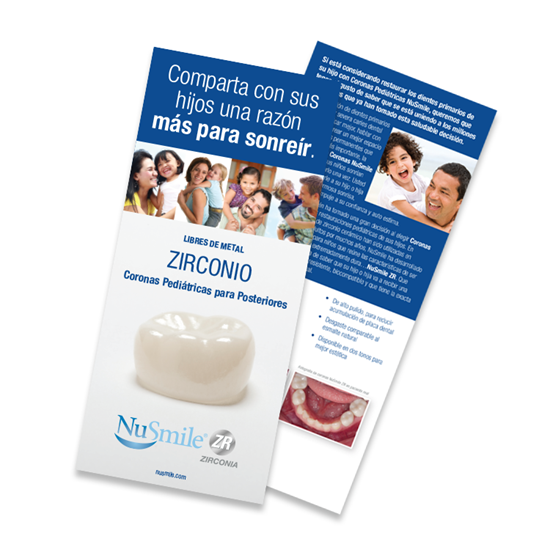 Presented especially for parents, these informative pamphlets contain informative content about NuSmile ZR Zirconia posterior crowns. There are 50 pamphlets per pack.